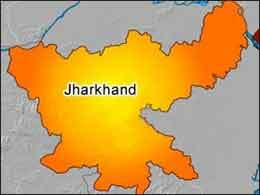 Jharkhand may be a beautiful land,it is not preferred by many bureaucrats.If reports reaching JharkhandStateNews.com are to be believed,ex secretary of the Union Government T.Nand Kumar has refused to accept the offer to become the Adivisor. Even the names of ex Jharkhand chief secys -PP Sharma and AK Singh -floated during the day in the corridors of the national capital -did not gain ground. At the end of the day,three Advisors have to be appointed in Jharkhand during the President’s rule likely to be effective from the day the President Pranab Mukherjee provides his accent to the nod given by the Union Cabinet on Thursday morning. The buzz is that the names of Ex CRPF Director General Vijay Kumar and Ex Secretary,Home,Government of India Madhukar Gupta figured at the top.